When the eye aesthetics is health. 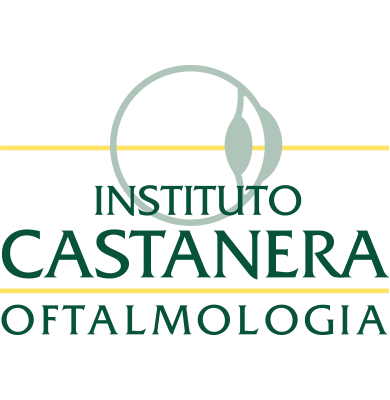 The Castanera Institute of Ophthalmology was founded in 1954. Tradition, pioneering use of the most advanced technologies and techniques, scientific research and a truly personalized treatment of patients enabled the Castanera Institute of Ophthalmology to be regarded internationally as one of the focal points in ophthalmic surgery. Fill in the form and receive a confirmation of your appointment. La cirugía refractiva es el conjunto de procedimientos quirúrgicos que pueden corregir los defectos de refracción como la miopía, hipermetropía, astigmatismo y presbicia permitiendo reducir o eliminar la necesidad de usar gafas o lentes de contacto para ver bien. From birth to the age of eight, children develop and mature vision, which them much more sensitive to any visual problem. Therefore, is essential to identify as soon as possible any anomaly that might slow or stop visual development, and start proper treatment. A cataract is the clouding or loss of transparency of the crystalline lens due to various causes: age, congenital, trauma, systemic diseases, etc.. The symptoms are usually manifested by a decrease in visual acuity, the difficulty in adapting to the dark vision and / or increased glare. Oculoplastic surgery includes all surgical techniques designed to address diseases of the eyelids, both cosmetic (upper and lower blepharoplasty, bags) and functional (changes on lid margin, reconstructions, skin lesions) because in many cases, health and good functioning of the eyelids and eyelashes are vital for visual function. The retina is a light-sensitive layer of tissue, lining the inner surface of the eye. The optics of the eye create an image of the visual world on the retina. Light striking the retina trigger nerve impulses that are sent to various visual centers of the brain through the fibers of the optic nerve.